This 3-hour workshop focuses social innovation for NFPs and social enterprises based on a design thinking influenced open social innovation framework. 2019 is a time of unprecedented challenges, opportunities and change in Western Australia. The challenges facing the not-for-profit sector in WA are not new but are often described and defined in terms of disruption, the move towards impact measurement, and an ever tightening funding environment. Enquire Now to book for a private workshop, or one of our upcoming public series. 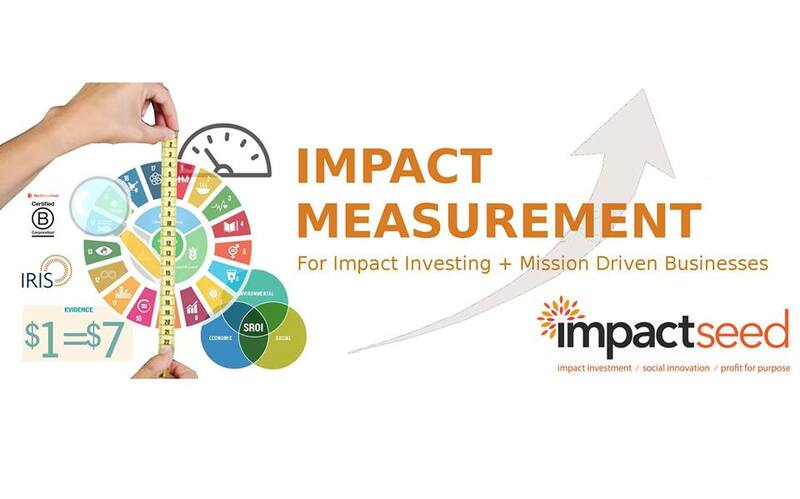 3-hour workshop focuses measurement of impact and outcomes measurement specifically for impact investment. The focus group for this workshop is executive and board level management, investors and funders across Western Australian not for profits, foundations, government agencies and family offices. Impact measurement methods are many and varied with a number of frameworks and methodologies based on the impact and strategy of the investee or business, and the requirements of investors. In this session we explore investor needs and consolidation of framework to meet the growing requirement for consistency and for comparison purposes. This 3-hour workshop will deep dive into impact investment for Western Australian not for profits, foundations, government agencies and family offices. This intimate, focus-group workshop limited to 20 participants. 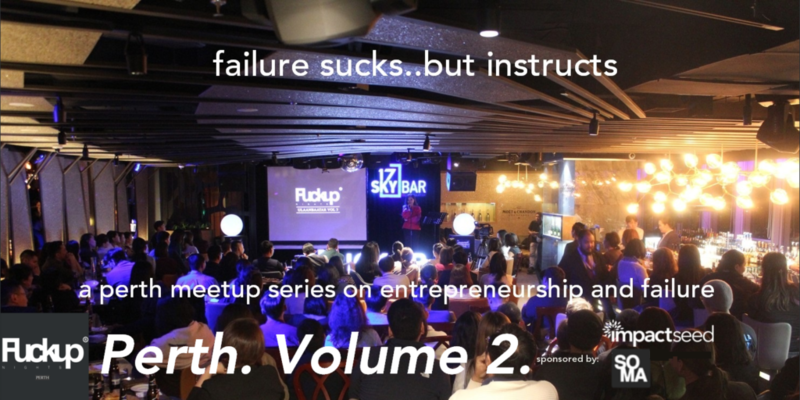 Hot on the heels of Perth’s first 2 sellout events join us for Volume 3, as we bring together 3 leading WA entrepreneurs and investors to share their stories of failure. 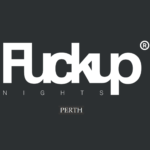 FUCKUP NIGHTS PERTH VOLUME 3 WILL BRING TO THE STAGE SOME OF PERTH’S MOST WELL RESPECTED ENTREPRENEURS AND INVESTORS. BOOK NOW FOR WHAT WILL BE ANOTHER SELLOUT EVENT.. CAPACITY AT THE BRISBANE HOTEL IS STRICTLY LIMITED TO 130 ATTENDEES. Fuckup Nights Volume 3 is brought to you by Impact Seed and Skills of the Modern Age. This 3-hour masterclass will deep dive into impact investment and measurement for a Western Australian audience including family offices, foundations, NFPs and government agencies. The focus group for this masterclass is executive and board level management investors and funders across these sectors. 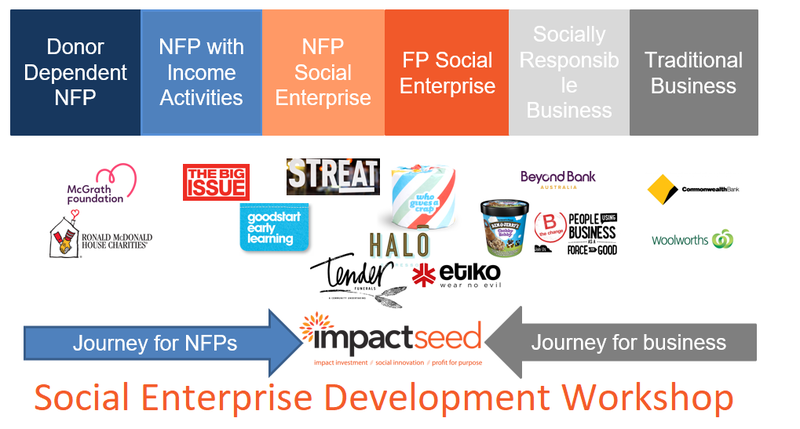 Co-hosted by sector leaders, Impact Investment Group and Impact Seed, it will also introduce a first of its kind partnership for impact investment, social innovation, and social enterprise development in WA for 2019. This afternoon session will conclude with drinks and light refreshments, with the opportunity for one on one discussions with the team from Impact Investment Group and Impact Seed. Impact Investing is investments made with the intention to generate actively-measured social and environmental impacts alongside a financial return. The result is a shift from ‘bottom line’ to ‘triple bottom line’ thinking. It has proven successful internationally and across Australia and this event also presents an opportunity to partner in WA’s first social innovation hub developing and investing in WA social enterprises and impact projects. BOOK NOW AS TICKETS ARE STRICTLY LIMITED TO A CAPACITY OF 25 FOR THIS DEEP-DIVE PERTH MASTERCLASS. 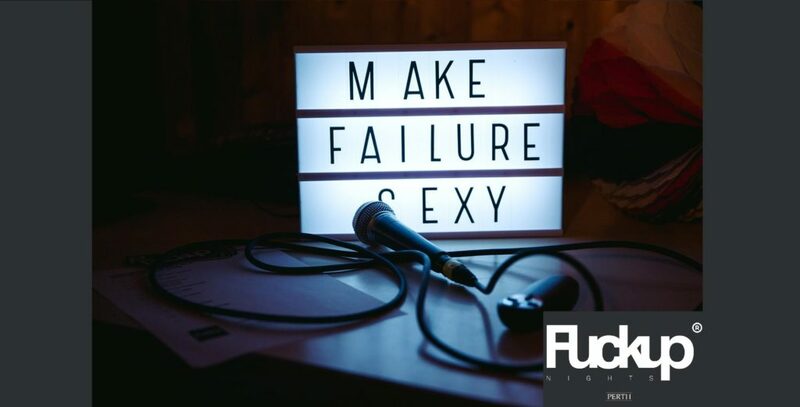 Hot on the heels of Perth’s 1st sellout event join us for Volume 2, as we bring together WA’s entrepreneurs and investors to share their stories of failure. Our inaugural event featured Sharon & Grant Grosser – Co Founders, SEQTA Software; Fabian Le Gay Brereton – Co Founder, Greensense and General Manager Digital & Advisory, ERM Power; and Renée Gardiner – Founder, Growing Change. Fuckup Nights Volume 2 is brought to you by SOMA – Skills of the Modern Age. Fuckup Nights Perth foundation sponsor is Impact Seed. StartSomeGood.Com, Impact Seed and City of Perth are bringing Pitch for Good to WA for the very first time this year! This hugely successful and impactful event essentially comprises a triple-decker live crowdfunding campaign. First is the live event on 11th October at Town Hall with 250 changemakers and funders in attendence to see a number of homegrown Perth social enterprises and projects pitch. Every attendee receives 3 x $10 voting chips on the night to vote for their favourite projects. The proceeds of this live crowdfunding eventunding are then matched with the generous support of City of Perth. These matched funds are guaranteed. The final component of Pitch for Good is leverage of these guaranteed funds into an online crowdfunding campaign with SatratSomeGood.com using their highly successful crowdmatch funding model. The potential funding pool from Pitch for Good events has previously reached up to $50,000! If you have an idea for a social enterprise that will do good in the City of Perth and need an extra funding boost to get the project off the ground, then apply for Pitch for Good Perth here! Pitch for Good combines the best of on-and offline fundraising, with a live pitch event helping you launch a crowdfunding campaign in style, and most importantly, with traction, thanks to the City of Perth matching pledges on the night. 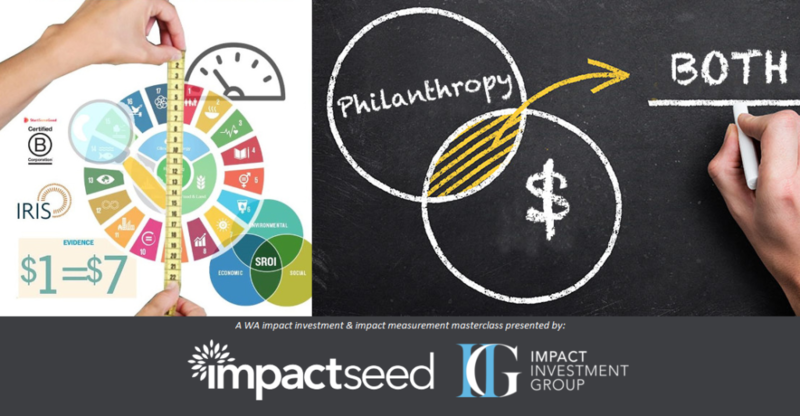 This 3.5 hour workshop facilitated by Kylie Hansen will focus on measurement of impact and outcomes specifically for an impact investments and purpose driven businesses. Measurement methods are highly variable, with a number of different frameworks and methodologies based on the impact and strategy of the investee or business, and the requirements of investors. In the NFP sector, organisations typically pick and choose which frameworks that work best for them. However, this session explores investor needs such as consistency and the types of metrics that might apply to different mission-driven businesses and investments. The workshop will provide an overview of different impact investment types and the different methodologies that suit those types, and examine some of the international frameworks that impact investors are using across their portfolios (for example, the Global Impact Investing Network’s IRIS, Social Return on Investment). The workshop will also cover some of the issues related to measuring outcomes for impact investment, including forecasting, appropriate indicators, and issues in language and marketing. Managers of organisations considering impact investments as well as executives of businesses exploring alignment of mission and purpose would benefit most from this workshop. This is a small, high-value, focus-group workshop limited to 12 participants. For older past events, please visit our archive.